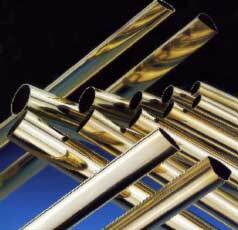 Aluminum tubing is utilized in railing systems, cycles, boating, automotive machinery, wind chimes, furniture, architectural and mechanical applications. Aluminum Tubing is often shaped, cut, bent, polished, twisted for railing, supports boating, ship building, structures of high strength, light weight, resistance to natures outdoor harsh conditions, equipment building, decorative applications, machining, fluid lines, chemical transfer, petroleum movement, etc. Available Diameter: .250" to 30"